When you purchase custom metal parts, the biggest concern on your mind is likely function. You need your metal part to be the right shape, fit onto your machine correctly and perform its intended purpose. If it doesn’t satisfy these basic requirements, then there’s no point in having it. Once your metal parts satisfy these requirements, however, it’s time to start thinking a little more outside the box. What finishing touches can you add to your metal parts to make them match the rest of your machine? How can you make them hold up better against strain and wear and tear? How can you make them look a little more finished and upscale? As it turns out, there are two different ways you can do this — powder coating or liquid painting. Both options are good ones, and both have advantages and disadvantages that you’ll want to take into account. To help you decide which one is right for you and your facility, we’ve compiled this guide to explain what makes each type of finish distinct. With a brief overview of this information, you’ll be ready and equipped to choose which finish will be the right one for you. Powder coating has the same job as a coat of paint. It covers a surface in a finishing layer and a protective coating. It gives the surface both a more finished and polished look that adds to the aesthetic while also protecting the bare surface from dust, dirt and corrosion. This type of coating can be used on metal brackets, sheet metal boxes, large panels and much more. Despite having the same basic function as paint, however, powder coating is a little different in practice. Instead of going on in a liquid coat, powder coating is applied to a surface as a dry powder. This powder is applied electrostatically and then subjected to high levels of heat. This heat causes the powder to dry and come together to form a protective covering or skin that neatly coats the surface in much the same way paint does. Unlike paint, however, a powder coating typically dries and hardens into a finished coating much tougher and more durable than ordinary paint. What Metals Can Be Powder Coated? This is not a complete list, but it begins to give you an idea of the vast number of materials this coating can be used on. What Are the Benefits of Choosing a Powder Coating Finish? We’ve talked a bit about what a powder coating finish is, but now let’s talk about why you might want one. What makes it superior to an ordinary liquid paint coating? Let’s go over a few of the benefits of powder coatings. Powder coating metal parts results in a far more durable final product than painting them does. This is because a powder coating allows you to achieve a considerably thicker coating that gives the metal underneath more protection. On top of that, powder coating enables you to perform this thicker finish without any of the dripping or sagging you might get with paint if you try for a thicker coat. In addition to a thicker coat, the powder coating itself is simply tougher and holds up better against outside forces. Whether you worried about scratching, chipping, weathering or fading, powder coatings are far better at withstanding these forces than a standard paint. A powder coating does more than hold up to outside forces like weather, chemical damage and human interactions. When you choose a powder coating, you also select an option that will stand the test of time regardless of the conditions it’s subjected to. Whether your powder-coated surfaces will be outdoors in all weather or locked in a climate-controlled glass case, you can rest assured the powder coating will hold up beautifully. Painting is sometimes a bit of a laborious process. A surface sometimes needs multiple coats of paint before it truly looks like it’s finished. This process isn’t just difficult, as you work to apply the multiple coats evenly and cover the surface properly. It’s also time-consuming, as you’ll need to wait for each coat of paint of paint to dry before you add the next one. Powder coating isn’t like this. When you choose the powder coating process, your job will be much easier and will go much faster. This process only takes one coat, and while it does require time to cure, it will still be faster than applying multiple coats of paint. Powder coating offers you a whole world of choices when it comes to both finishes and color options. Choose from hundreds of different color options, all of which are long-lasting and resistant to the chipping or fading you might find in an ordinary paint. Differently textured finishes are available, too, and you can choose from smooth, wrinkled, matte, shiny or rough to achieve the look or function you’re going for. Powder coatings benefit the environment in scores of different ways, making them good for you, good for your business and good for the earth itself. First, powder coatings don’t emit harmful toxins or organic compounds that might pollute the air, as opposed to certain types of paints that may give off harmful odors and chemicals. Additionally, the leftover powder can be recycled. This means that even if you overspray, or if you simply have some powder left over at the end of the job, you don’t have to worry about wasting it or about contributing to pollution. The recyclable nature of these coatings means you can use nearly 100 percent of them without adding toxic waste to the planet. Finally, the production of powder coatings is a much safer and less wasteful process than the process that creates standard liquid paints. These powder coating production lines are more efficient and produce less hazardous waste that will need to be disposed of. Because powder coating is applied in one large coat all at once and then dried together, it dries in an extremely uniform way. There are no remaining traces of brushstrokes or visible paint layers, as you might find in liquid paint. This results in a final polished surface that’s one uniform color and texture with no blemishes that are obvious traces of the production process. What Are the Disadvantages of Choosing a Powder Coating Finish? No matter how many positive sides there are to something, there will always be a few downsides. Powder coatings are no exception to this. With this in mind, here are a few of the potential snags you may run into if you decide to opt for the powder coating finish. In most cases, a thick finishing coat is ideal. This is more durable, more long-lasting and leaves fewer traces of application. However, some objects require a thinner finish to fit onto machines or perform their intended functions. This is one area where powder coatings have a difficult time delivering. By trying to thin the coating, you’ll often be left with a surface that’s hard, bumpy and far from the desired final texture. The process of applying and drying a powder coating is not a simple one. It requires an electrostatic application, which involves a variety of complex equipment, spraying materials and an oven to dry the coating out. Of course, this complexity helps make the powder coating into such a beautiful and reliable finish. However, because the process is complicated and a little pricier than liquid painting, it’s impractical for small-scale operations. If you only have one small piece that you want to coat, you may be better off with a simple liquid paint, as it’s not worth the investment in all the equipment you would need for the powder coating. For smaller jobs, it’s much more practical and cost efficient to stick to the simpler method. Even if you end up needing to re-do your paint coating every so often, it will still likely win out as the more cost-effective method for small projects. What Are the Benefits of Choosing Liquid Painting? Traditional liquid painting is something we’re all familiar with. Ordinary paint is brushed on over the metal surface, often in multiple coats until the entire object is well covered. Like powder coating, it can be used on most types of metal and is commonly used on surfaces like brackets, shelves, panels and more. Of course, a method like this wouldn’t become as popular as it is if it didn’t have a few major benefits. Here are a few of them. With an ordinary painting job, there’s no complicated equipment or in-depth procedure. Painting metal parts is simple and involves painting on one coat of paint at a time. The paint will need to dry, but this happens naturally and doesn’t require any additional equipment to do so. Paint and paint brushes are cheap tools. Because these are the only things you will need to complete this task, costs will stay at relatively low. This makes simple paint coverage a choice great for your budget. 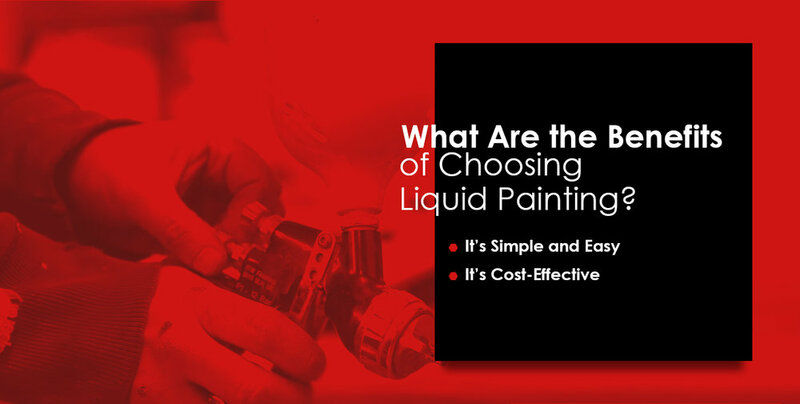 What Are the Disadvantages of Choosing Liquid Painting? The paint is thinner and less likely to hold up against things like weather, corrosion, scratching or peeling than the powder option. This means if your metal parts are going to undergo lots of strain, it might be best to stick with a powder coating. Because paint is usually thinner and requires additional coats to adequately cover the surface in question, the final result appears messier. Oftentimes, brushstrokes may be visible in the surface as well as different layers in the paint or even certain areas that are covered more completely than others. Liquid paint production is known for creating unhealthy amounts of hazardous waste on the production line. Not only this, but also the final product can sometimes give off harmful toxins and vapors, leading to a greater footprint on the earth and a less environmentally conscious method of coating your metal parts. Can You Paint Over Powder Coating? What happens if you’ve applied a powder coating only to decide a year or two later that you’re looking for a different color or finish? You don’t feel you need to put the metal through the entire powder-coating process again so soon. Is painting over a powder coating something that’s even possible? Clean: Make sure your coated surface is clean, so you aren’t just painting over old dirt. Sand: Rough up the coated surface to help your new coat of paint adhere better. Prime: To get the best coverage, you’ll need to provide the proper base coat for your paint. Paint: Choosing the right paint for the job is critical. Stick to an enamel- or epoxy-based paint for the best results. 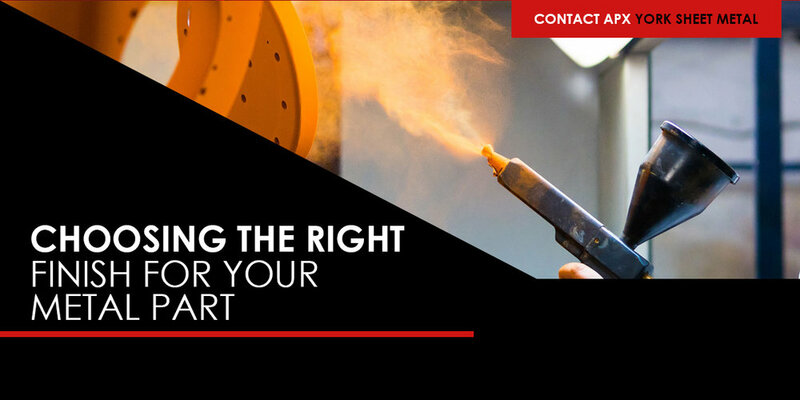 To decide whether powder coating or liquid painting is better for you, you need to think about what your goal is as well as what your limitations are. For example, is durability the highest concern for you? Maybe you’re most worried about achieving a smooth, blemish-free finish. Or perhaps you’re concerned about your environmental impact. If any of these concerns are your highest priority, you may want to consider the benefits that powder coating can offer you. If, however, you’re only looking to finish one small item, your best bet may be to stick with painting. Neither option is always right or wrong. As you weigh the choices, take the time to really consider your situation and think about what will be best for you. This way, you can feel confident in your decision and know that you have made the right choice for you and your custom metal parts. Have you decided to move forward with powder coating your metal parts? Then we want to help. We’re a family-owned business with over 70 years in the business, meaning that we’ve got the know-how and experience you’re looking for. Here at APX York Sheet Metal, we take pride in our quick turnaround time as well as our quality customer service, and when you work with us, you’ll experience both. To get started, contact us for your quote today.